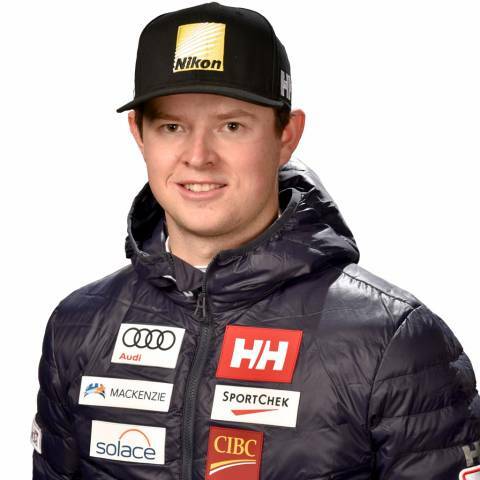 Alex Cairns was named to the Canadian Para Alpine Ski Team for the 2016-17 ski season. In 2014, Cairns was named skier of the year by the Canadian Association for Disabled Skiing. Born with Spina Bifida, Cairns began skiing in 2007 at the age of 17 in Whistler, BC. During the 2014-15 season, he came 16th in the giant slalom at World Championships. In the 2015-16 season, at the World Cup Finals, he placed tenth and 11th in the giant slalom and 11th in the downhill. 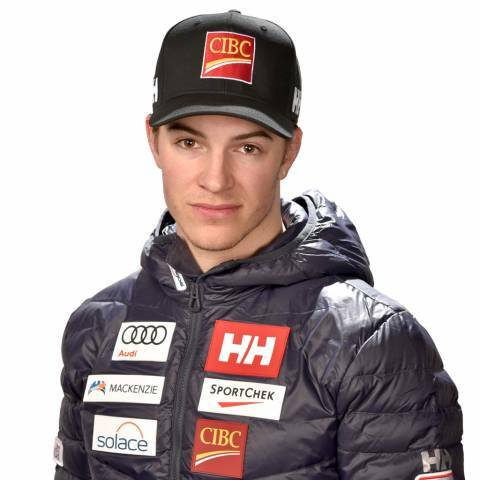 Alex Guimond from Mont Tremblant, joined the Canadian Para Alpine Ski Team for the 2016-17 season. Competing in the standing category, Guimond placed ninth in a giant slalom and 13th in the slalom in the 2015-16 season. Guimond had a breakout 2016-17 season and landed on the World Cup podium for the first time. 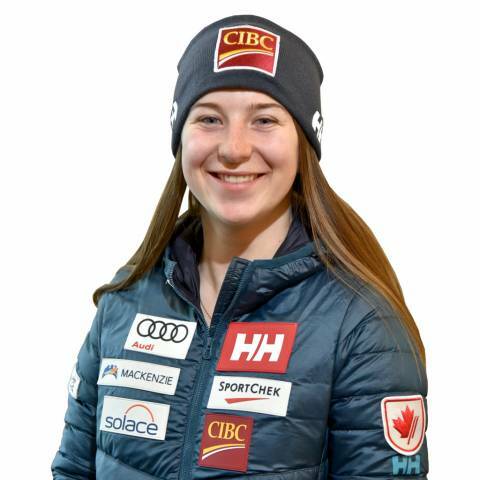 Mollie joined the Canadian Para-Alpine Ski Team in 2016 after showing promise on the Europa Cup circuit. She claimed a second-place finish in a Europa Cup giant slalom race, along with a first-place finish in an IPCAS race. Latimer began skiing at Craigleith Ski Club near Collingwood, Ont. at the age of two. She was born with a congenital amputation of her right arm below the elbow and while her sister and cousins were already out on the slopes, Latimer was anxious to join them. She advanced quickly through ski school and started ski racing in the Nancy Greene Development League at age seven. Until joining the Canadian Para-Alpine Ski Team, Latimer raced in the able-bodied program at Craigleith. Latimer competed in the 2014 Sochi Paralympic Games, racking up top-10 in four categories: super combined, slalom, giant slalom, and downhill. As well, during World Cup Finals in the 2015-16 season, she consistently place top-ten in all disciplines. Latimer had her career-first podium in the 2016-17 season, landing on it in both slalom and giant slalom disciplines. 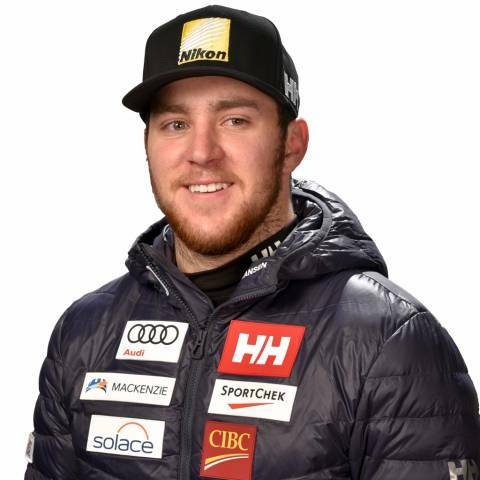 Jack Leitch joins the Canadian Para-Alpine Ski Team as Mac Marcoux’s guide, previously racing with the Alberta Ski Team. A former prospect athlete who moved up to the national team in 2011 after forerunning at the 2010 Vancouver Paralympic Winter Games, Luscombe has recorded eight top-10 finishes at IPC World Cup and world championship events since his first World Cup season (2012), and he became the men’s Canadian giant slalom champion in 2013. He had his leg amputated after contracting necrotizing fasciitis (flesh-eating disease) as a child and competes in the standing category. In the 2015-16 season, Luscombe skied to a career-first podium finish. Luscombe, who calls Duncan, B.C. home, enjoys fishing and being outdoors in the off season. Marcoux burst onto the IPC World Cup scene in 2013, as an eager a 15-year-old. He scored three World Cup podium finishes and earned a silver medal at the World Championships in La Molina, Spain in 2013. Skiing in the visually impaired category, he became a three-time Paralympic medalist when he, guided by Robin Fémy, won gold in giant slalom and then bronze in the downhill and super G events at the 2014 Sochi Paralympic Winter Games. At the time of this outstanding success in Sochi, Marcoux was the youngest member of the Canadian Paralympic Team. 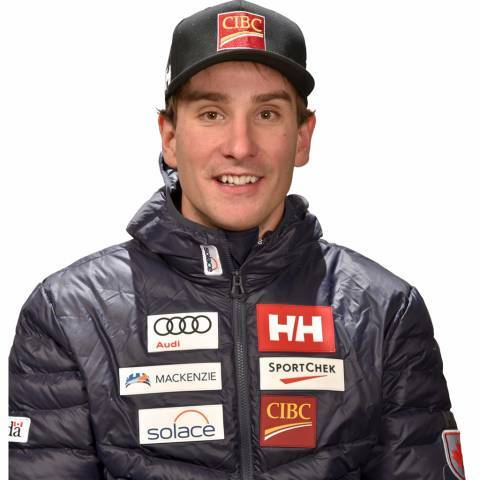 In the 2015-16 season, Marcoux walked away with a Crystal Globe in the super G and downhill disciplines. 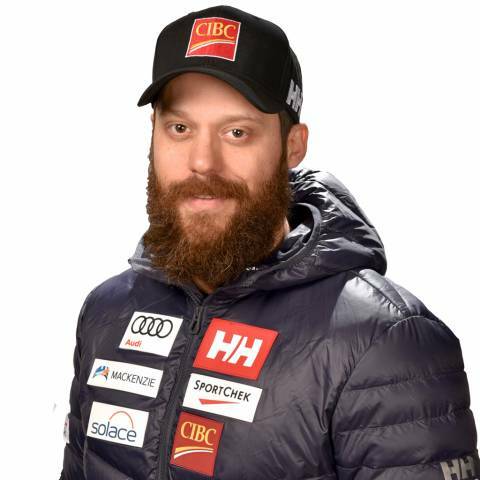 Marcoux has continued to follow up his success and captured the downhill Crystal Globe in the 2016-17 season setting himself up for success at the 2018 PyeongChang Games. The 2016-17 also included fresh challenges for Marcoux as he welcomed a new guide, Jack Leitch. Their strong partnership made for great success on the circuit. Kurt Oatway has been skiing since he was five-years-old and started racing with the Nancy Greene Program when he was six-years-old and continued to race competitively until the age of 16. In 2007, while on a field school with the University of Saskatchewan in Utah, he fell from a rock outcrop sustaining a compression fracture of the T12 vertebrae resulting in an incomplete spinal cord injury. He began sit skiing in 2010 as apart of his continuing rehab, and reconnected with his skiing roots. 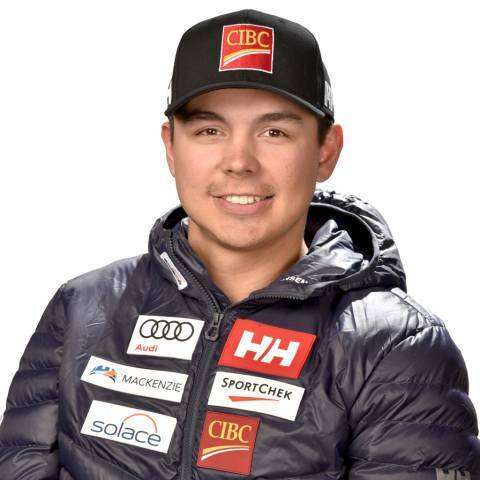 Joining the Canadian Para Alpine Ski Team in 2014, he has since went on to claim numerous IPC World Cup podiums and has had consistent results throughout his career. He also went onto win the IPC World Cup Downhill Crystal Globe for the men’s sitting category for the 2015-16 season. Alana Ramsay from Calgary, Alta., began skiing at six-years-old. Ramsay had a career-best 2015-16 season, landing her first podium finishes. 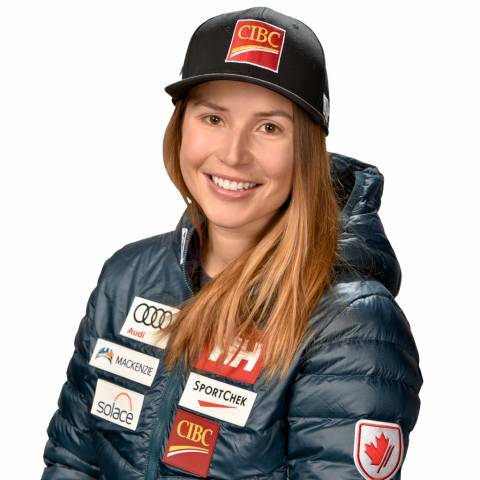 Due to her incredible breakout season, she was named the female para-athlete of the year at the 2016 Canadian Ski Racing awards. During the 2015-16 World Cup Finals, she placed top-four in all events, hitting the podium in giant slalom, slalom and super G. She followed up her breakout season with a fantastic 2016-17 season, including four podiums at the IPC World Championships. She also landed five World Cup wins throughout the year. Schornstein raced against able-bodied athletes until he was a teenager. Competing in the standing category (he has congenital paralysis of his right arm), Schornstein was a consistent top-10 IPC World Cup finisher in 2012/13, and was the men’s Canadian slalom champion in 2013 after battling back from a knee surgery that kept him from competing in the 2012-13 IPC World Cup circuit. At the age of 17, he had four top-15 finishes at the 2011 IPC world championships. In the 2015-16 season Schornstein placed seventh in the slalom race at World Cup Finals, and consistently stayed in the top 15 across all events. Schornstein plays volleyball and helps out with the family mechanical contracting business in his hometown of Spruce Grove, Alta. After being encouraged to try cross-country skiing in 2014, Emily demonstrated immediate potential and is now in her third official season on the national team as a development skier, and her fourth full ski race season. Emily earned her first world championship podium in February 2017 as she helped Canada to a historic bronze in the 4×2.5 kilometre cross-country relay at the Para Nordic World Championships in Finsterau, Germany. It was the first ever world championship medal in the relay for Canada. In total she raced in six events at both the 2017 and 2015 world championships. Emily was introduced to cross-country skiing in the summer of 2014 by the HollyBurn Cross-Country Ski Team coach, Jake Weaver. After that she was introduced to the B.C. Para-ski coordinator, Tony Chin. Emily attended the annual Para-nordic camp in Canmore, and things seemed to fall into place from that moment on. Entering his second straight year on the national team, Andrew Genge only has one goal on his mind : A gold medal at the PyeongChang 2018 Winter Paralympic Games. After suffering a stroke at the age of 15 following a horrific Rugby tackle, “Genger” was back on his board only 5 months later, and hasn’t looked back since. 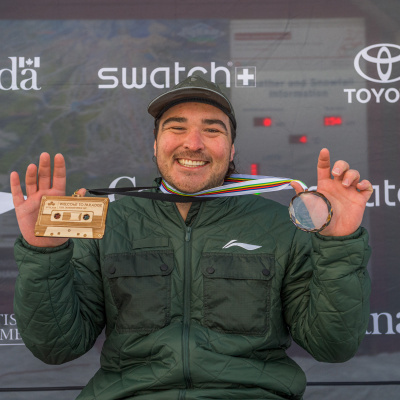 Genge burst onto the competition scene in 2016, where he took home the bronze medal at his first ever para-snowboardcross World Cup event at Big White Ski Resort in Kelowna, BC and took home second place at the Sports Experts Speed Nation Nationals in Chantecler, QC. Self describing his riding style as “chill yet competitive” Genge was named to the national team for the first time in 2017, and he continued to impress with another World Cup bronze, a 4th at the PyeongChang 2018 official test event World Cup, and a pair of top ten finishes at the Big White 2017 World Para Snowboard Championships. When not riding, he can be found in the gym or on his mountain bike, preparing for his next time on snow. 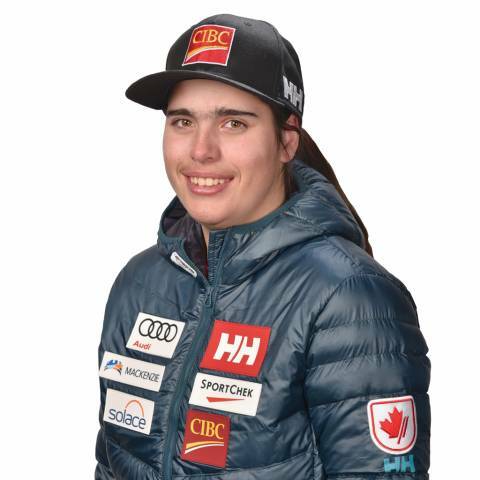 Montreal born Sandrine Hamel is definitely a rising star in the Para Snowboard world. Trying snowboarding for the first time at the age of 8, she quickly became hooked to the feeling and adrenaline the sport provided her. Born with a double major scoliosis, she also suffered a paralysed right leg during corrective surgery. When not on snow, you can find Sandrine putting in work in with the punching bag to stay fit. A member of Quebec’s provincial snowboard team, Sandrine has already garnered some impressive results on the World Cup circuit as she looks to continue to improve and reach her first Paralympic Winter Games. In 2014, John Leslie competed at the Sochi 2014 Paralympic Games, his first Paralympics, and posted Canada’s best snowboard result with a seventh-place in the men’s snowboard cross. It was the sport’s official debut at the Games. 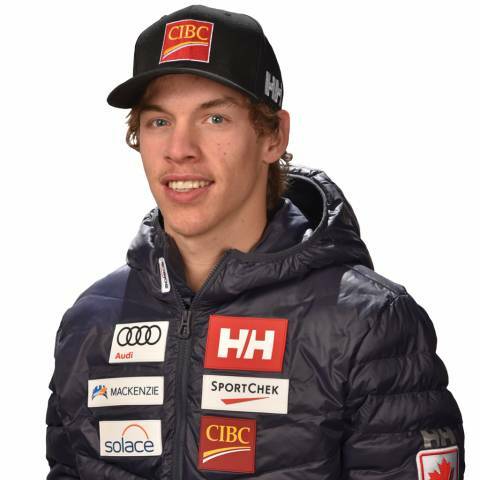 Leslie headed to Sochi in a strong position, having won his first career IPC World Cup medal, a bronze, on January 18, 2014 at Copper Mountain, Colorado. Leslie followed that exhilarating milestone by winning a second IPC World Cup bronze medal the very next day, also at Copper Mountain. At the 2017 World Championships at Big White in B.C., in January 2017, Leslie placed fifth in the banked slalom, his best result in three world championship appearances. Leslie is currently living in Whistler with his girlfriend Emilie and dog Zak and training full time for the PyeongChang 2018 Paralympic Winter Games, to be held in South Korea. Leslie has noticed an incredible progression in Para-snowboarding since he started competing, with the sport making appearances at the X Games, Dew Tour, and having the added discipline of banked slalom included in the PyeongChang 2018 Paralympic Winter Games schedule. A proud product of the small town of Arnprior, Ont, he trained with the Ottawa Akademy Club and Arnprior District High School teams at Mount Pakenham. Leslie raced able-bodied snowboard events for four years with Arnprior District High School. After graduation, his high school coach suggested he try Para-snowboard. In 2014, he was one of the featured athletes for Petro-Canada’s Face-to- Face TV ad campaign. In 2017, was featured in King Snow Snowboard Magazine “the Drive” series and was a featured athlete as part of CBC Sports’ “Beautiful Bodies” segment. Leslie has a below the knee amputation, a result of a cancer diagnosed when he was 10. What do you do when your local hill finally starts renting snowboards, when it was previously a mountain full of skiers? For Wawa, ON’s Colton Liddle the choice was obvious. 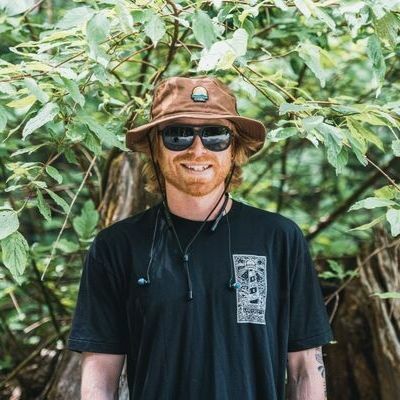 A recent amputee, Colton made the decision to move to Squamish, BC full time to pursue his Paralympic dream as well as his hobbies of hiking, biking, and climbing. Coming off a challenging 2016/2017 season, Colton looks to improve his World Cup ranking continue to put in the hard work to make his Paralympic dream a reality. Alex Massie has already tasted international success in his Para snowboarding career and hopes to make his biggest impact yet at the PyeongChang 2018 Paralympic Winter Games. Massie has practiced snowboarding since his youth but a wakeboarding accident in 2011 resulted in him losing his left leg below the knee, which changed his plans. Before the accident, hockey was the focus. He spent nine years playing hockey at the “A” and “AA” levels, winning a couple of York Simcoe championships along the way. He was also on the school football team at Barrie North Junior High. Massie returned to snowboarding after his accident and adapted so well to his prosthetic leg that he decided to pursue a competitive career in the sport. In addition, in 2013, Massie returned football with the Barrie North Collegiate Sr. Wildcats and was a starter on the offensive line. In 2014, Massie won gold at the Alberta Provincials and the Canadian Para- Snowboard Championships. In 2015 he completed his first full competitive Para-snowboard season. Massie has consistently maintained himself among the world’s top five, including bronze medals at the 2015 world championships and X Games. In 2016, he captured two more bronze medals at IPC Snowboard World Cup events in Trentino, Italy and again at Big White. To top this, he took silver at the X Games. In January 2017, Massie was fourth in snowboardcross and sixth in banked slalom at the 2017 world championships held at Big White, B.C. Curt Minard burst on to the Para snowboard scene in Febuary 2016, taking home the gold medal in his first ever snowboardcross and banked slalom races, in a pair of NorAMs at Big White Ski Resort, BC. From there, Minard went on to win the Canadian National Championship in 2016, doing so with a broken shoulder to boot. A year later, he defended his national title as a member of the Para NextGen program. Minard lost a portion of his left hand and wrist in an electrical contact accident in 2008. He was electrocuted with over 14400 volts of electricity with approximately 5 Amps of current, which is about 500% more than most humans can withstand before their bodies shut down. He also had many complications in the hospital, including a bursting artery in his left arm and a pulmonary embolism, both of which almost took his life. In his first full season, 2016-17, Minard finished sixth overall on the World Cup circuit. He competes in the Upper Limb (UL) category. Minard served noticed he can contend for a medal at the 2018 Paralympic Winter Games when he won the bronze medal in the Snowboardcross on the PyeongChang course at the World Cup final in March 2017, to conclude the 2016-17 season. Minard also posted two top-eight finishes in January 2017 at the Big White 2017 World Para Snowboard Championships. Michelle Salt was a member of Canada’s first ever Paralympic Games snowboard team that competed at the Sochi 2014 Paralympic Games. 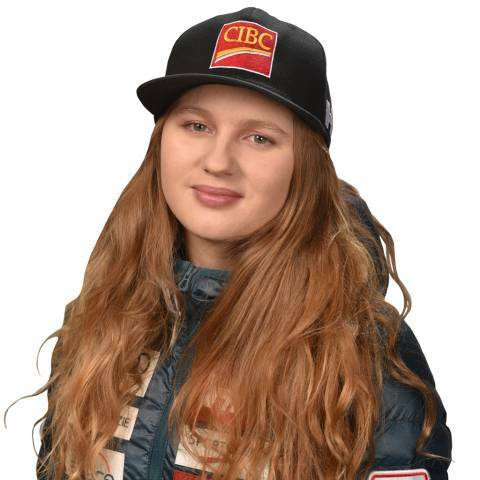 She was the only Canadian in the women’s competition and placed ninth in the snowboard cross. She first joined the national team a year earlier. Salt has maintained herself among the world’s best since Sochi, with three fourth- place finishes at the 2015 and 2017 World Championships. She also concluded the 2015-16 World Cup season with four silver and three bronze silver medals. When she’s not training, she enjoys other sports such as cycling, wakeboarding and kayaking. She also spends time speaking for STARS and Canadian Blood services as a patient/recipient. James Gemmell, a defenceman, won a bronze medal at the Sochi 2014 Paralympic Games as Canada defeated Norway 3-0 in the bronze medal match. Gemmell was inspired to play sledge hockey after watching Canada win the gold medal at the 2006 Paralympic Winter Games in Italy. Soon afterwards, he joined the B.C. Eagles club in Surrey. By 2008, he was on the national team and became the first British Columbia-born player to represent Canada internationally in sledge hockey. He made the team at a National Sledge Hockey Selection Camp in Milton, Ont. 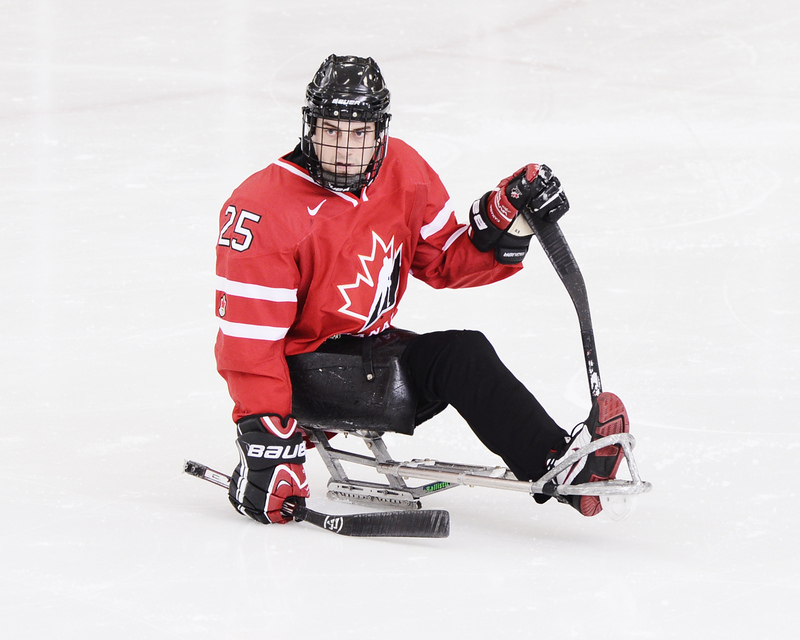 Gemmell made his debut at the World Sledge Hockey Challenge in 2008 as Canada won the gold medal. Ina Forrest played vice-skip for Canada at the 2017 World Wheelchair Curling Championships in PyeongChang, South Korea in March 2017, as Canada took fifth spot at the tournament. The Canadians advanced to the tie-breaker against eventual champion Norway for a berth in the semifinals, but lost the game 5-4. Still the result was a two spot improvement on its showing at the 2016 worlds. Their fifth place at the 2017 World Championships earned Canada a berth at the PyeongChang 2018 Paralympic Winter Games. 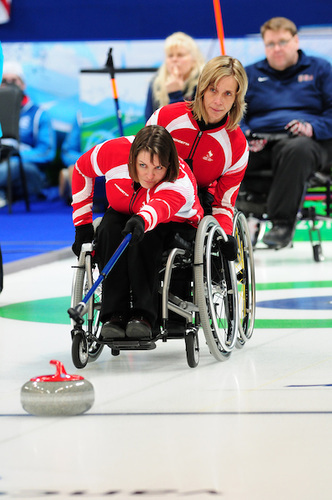 Canada has won three consecutive Paralympic gold medals in wheelchair curling: 2006, 2010 and 2014. Forrest played vice-skip on Team Canada’s wheelchair curling team that won gold at the Sochi 2014 Paralympic Games. It was her second consecutive Paralympic crown after a triumphant debut at the Vancouver 2010 Paralympic Games. Forrest, one of the world’s most decorated wheelchair curlers, was inducted into the Canadian Curling Hall of Fame at a banquet during Brier week in Ottawa in February 2016. Forrest has been curling since 2004. 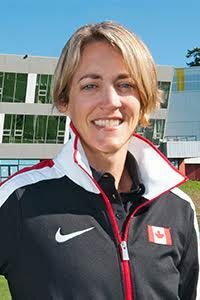 In 2006 she was named to the Canadian Wheelchair Curling Team that finished fourth at both the 2007 and 2008 World Wheelchair Curling Championships. In 2009 she and her team won the World Wheelchair Curling Championships and Forrest secured a place for herself for 2010. She has competed at nine straight world wheelchair curling championships.